Metal Gear Solid mastermind says the map for next MGS will be big... 200 times bigger than the map from the Metal Gear Solid Ground Zeroes. The Ground Zeroes map is the red blotch on the bottom right of his chart. The square it's on is MGS V.
Kojima showed this chart during a Metal Gear-centric video stream today, part of his plan to drum up excitement for the game before next week's big E3 show in Los Angeles. According to our own Richard Eisenbeis, who translated portions of Kojima's presentation for us English-only speakers, Kojima didn't just brag about the size of V's map but explained that the game's weather and time will change on its own, challenging players to decide when to go on certain missions, how to get to those missions and how to deal with the weather along the way. The situation is always changing, he explained. 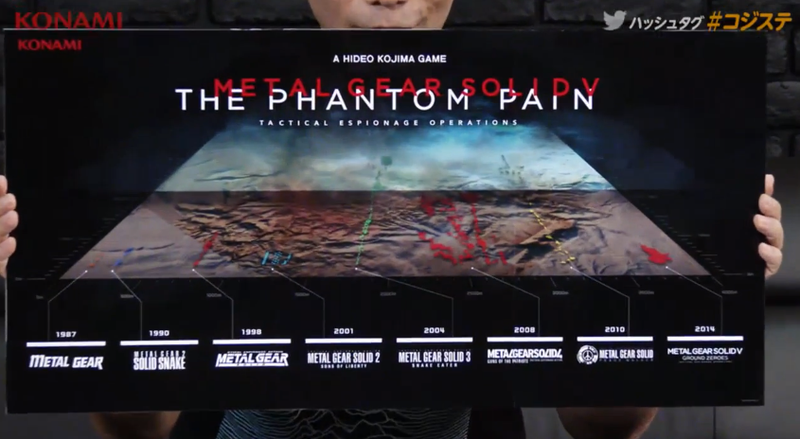 Kojima's chart shows the maps of the previous Metal Gear games, all, he said, to scale.